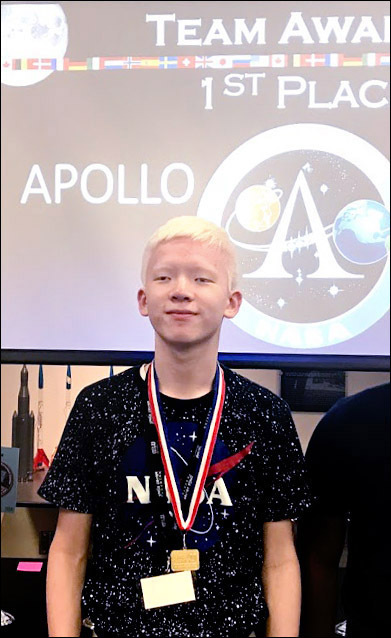 Virginia Space Grant Consortium sponsored a scholarship that included registration, flight, lodging, and ground transportation to one visually impaired student and parent chaperone to attend the Space Center University (Space Center U) Program for Students with Visual Impairment. The program was a challenging new three-day program for students with blindness or visual impairment, ages 15 through 18. It was held August 8-10, at Space Center Houston. Paul Anderson was selected after an extensive five-panel review of his application and a telephone interview. 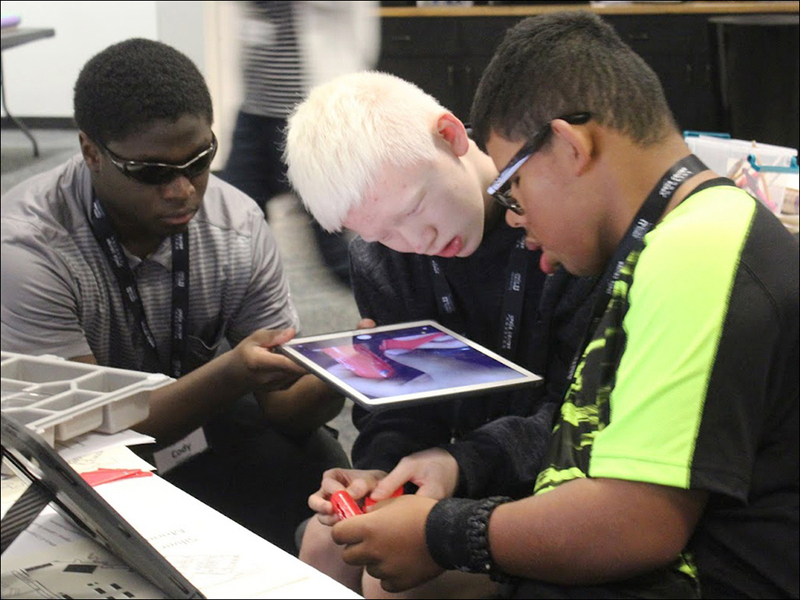 Paul summarized his experience: The Space Center University Program for the visually impaired was a fun, educational, and well-designed program that expanded my understanding of the space program and, more specifically, the field of aerospace engineering. They did a great job of accommodating the blind and visually impaired, and it will only get better as they make improvements each year. It was very interactive, allowing me to feel the textures of multiple different items. I touched an Apollo capsule, feeling the rough metal and the burnt heat shield. I also got to touch a spacesuit used by astronauts in training. There were multiple layers and I felt each of them. Finally, and this is a personal highlight, I got to touch an actual moon rock. It was a rare opportunity and I was psyched about getting to feel a rock from a celestial body beyond Earth. There were many other objects I got to feel, but these are some of my favorites. I listened to lectures from multiple employees at NASA, one of whom was blind. Every lecture given was fascinating and informative. My personal favorite was the lecture given by the blind NASA mathematician, who also showed us an amazing program he developed that can describe graphs non-visually (For anyone interested in this program, more information can be found here. These lectures were followed up with question and answer time. Most lectures were presented in a format that was accessible by personal devices. The program placed everyone onto teams and we competed with each other on various challenges relating to aerospace engineering. I got to program a robot to move through an obstacle course and created a cryogenic chamber for an astronaut just to name two. These challenges gave me a good idea of what goes into making a mission happen while encouraging teamwork between students.